By Sandra Schulman arts writer, music and film producer. Cheryl Maeder has made a career out of creating work that is the opposite of what others are doing – shooting out of focus and fuzzy when the trend is hyper definition; aiming her lens at plus size women when the trend is super skinny; and projecting video when the theme is murals. But she makes it all work and makes her work stand out by doing so. 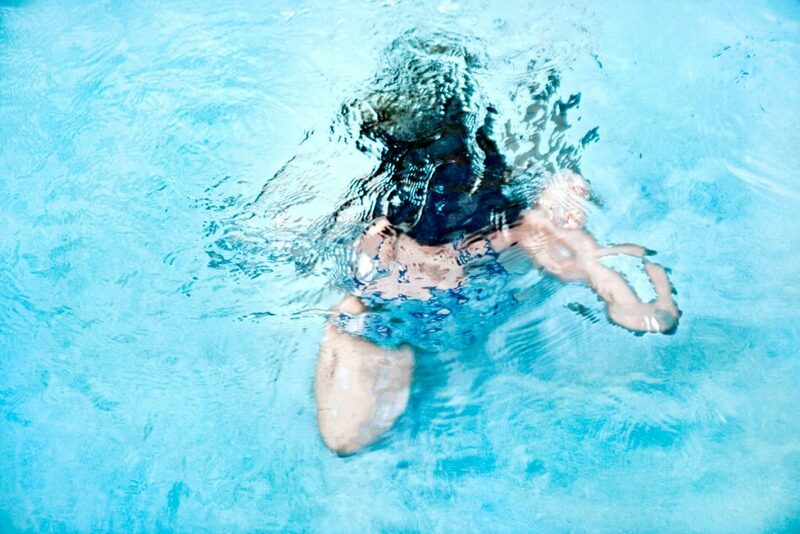 Warm and outspoken, Cheryl Maeder began her photography studies while living in Switzerland at the Kunstgewerbeschule in Zurich, where she lived for eight years. After she left Switzerland and returned to the United States, she opened her photography studio in San Francisco. For the next 15 years, Maeder worked as a national fine art and advertising photographer, shooting campaigns for clients such as Sony, AT&T, Visa, Calvin Klein, and Marriott Hotels among others. Her work was the inspiration for the Dove Campaign on Real Women, Real Beauty, which was shown in the United States and throughout the world. That campaign was a real defining moment and ended up as not only advertisements but also video, workshops, sleepover events and the publication of a book and a play. Oprah featured it on her TV show. The campaign started when Cheryl Maeder shot real women in their lingerie, not necessarily thin models but real curvy women in all sizes. Her advertising agency sent them to Dove who realized this could be a whole new concept to get women to think about and talk about their feelings on their size and femininity. “I didn’t know this was the idea at all,” says Cheryl Maeder over brunch at Howley’s Diner. In early 2000, Cheryl Maeder traveled through the coastal towns of the Costa Brava in Spain and began experimenting with the camera in an entirely new direction. She began taking shots that veered sharply into abstraction by soft focusing to the point of almost obliterating the subject. Glowing shapes emerge from soft blue waters and hazy horizons. “I wanted to shoot in an impressionist way in a place in France where the original Impressionist painters had been paintings decades before. It felt natural and right, I was really in my element doing this work. From there I moved to San Francisco and my career really took off with art fairs, getting collected by museums and with gallery shows”. This photography abstraction experimentation became the Dreamscapes Series, Maeder’s ongoing project which has morphed into film and video. Most recently she exhibited in downtown West Palm Beach with a video called “Submerge” under the Royal Park Bridge Walkway as part of the Canvas mural project. Everything else in the Canvas project was murals, Cherly Meader’s work was the only film to exhibit in the project, the location under the bridge had the added attraction of water reflecting up to where the film was screened. Another film of Cheryl Maeder called “Play” won Best in Show last year at the Cultural Council of Palm Beach’s Biennial exhibit held at the headquarters in Lake Worth. Shot from a bird’s-eye perspective, the film, which is made up of still photos strung together with computer software, captures youngsters frolicking in a playground of giant plastic breakfast food. The film is set to a soundtrack of children laughing and singing along with Tchaikovsky’s Dance of the Sugar Plum Fairy. This series, as part of Suburbia, is in stark contrast to the Dreamscapes with their hyper pop colors and detailed scenes of Barbie dolls, surreal candy colored dresses in stores, and acid colored store signs. Maeder has no children herself but has been married for many years to a man she met when he actually walked into her apartment one day while he accompanied a friend to her place. “My friends kept telling me to stop working so much and get out more to meet somebody because I’d never meet anyone staying in my apartment. Well that was wrong,” she says smiling. 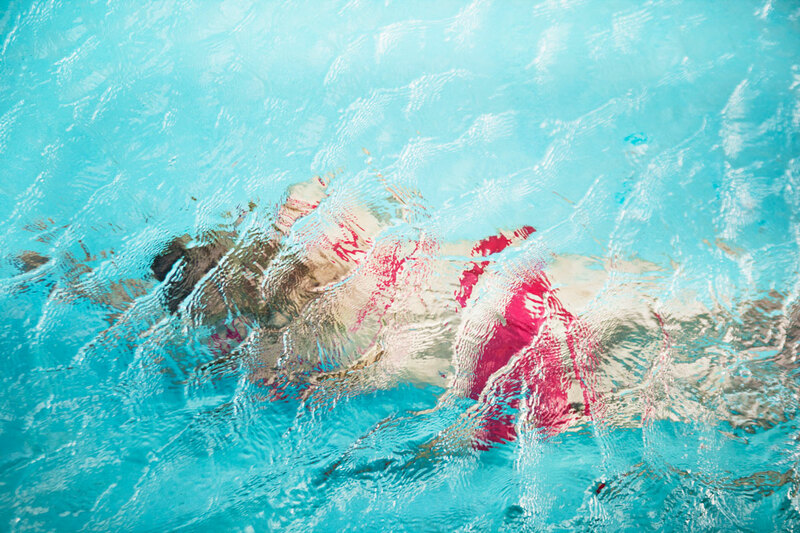 Cheryl Maeder’s photography work is in the permanent collection of the Frost Museum, Miami and exhibited at Boca Museum of Art, Norton Museum, and Florida Museum for Women Artists (now the Museum of Art – DeLand). She was recently selected for an exhibition at the Miami International Airport by The Fine Art & Cultural Affairs Board of MIA, consisting of members of the professional art community of Miami. Her photographs were selected by Art Miami/Art Southampton to represent Art Southampton 2015 worldwide. Sandra Schulman is an arts writer, music and film producer. Born in Miami, her work has appeared in Billboard, Variety, Rolling Stone, Ocean Drive, Country Music Magazine, The New York Daily News, News From Indian Country, and Entertainment Weekly. She was an entertainment columnist for the South Florida Sun-Sentinel for 8 years. She has authored three books on pop culture. She currently lives in West Palm Beach with her blue eyed whippet. Sandra Schulman’s column appears weekly. Contact her at sandraslink@gmail.com.